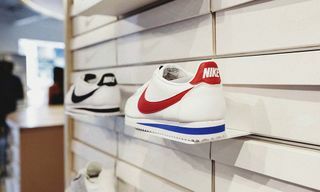 Just weeks ago Nike opened the doors to its mammoth 68,000-square-foot flagship store in New York City. 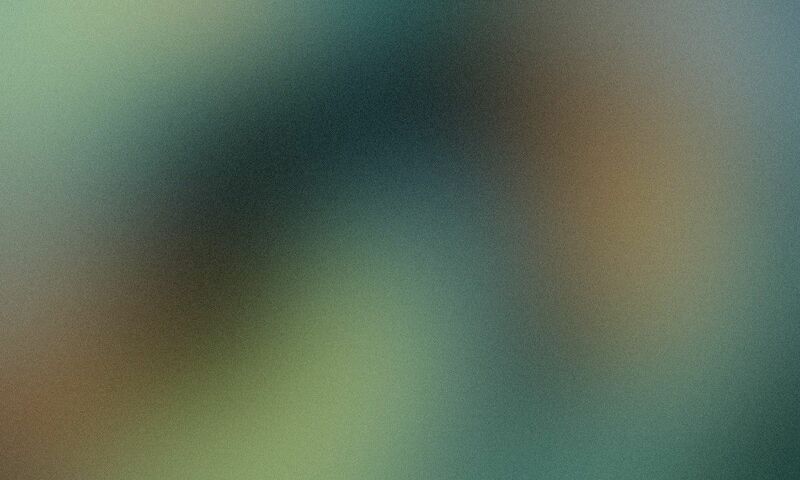 Now, the company is back to introduce another location, residing in The Dubai Mall. 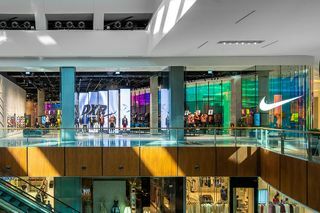 Nike Dubai spans 3,290 square meters, accounting for Nike’s largest retail space in the MENA region. 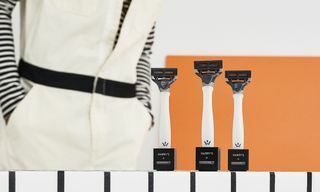 Customers can not only shop the latest Swoosh products and exclusive releases, but also partake in collaboration through creative workshops. 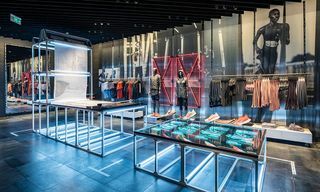 Nike Dubai is outfitted with a customization space that allows you to personalize a plethora of items. 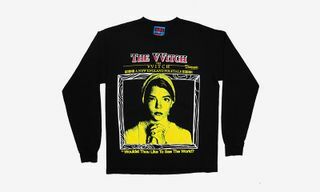 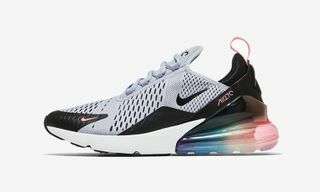 You essentially become the designer by choosing your own laces, straps, buttons, markers, and tongue labels for footwear and apparel. 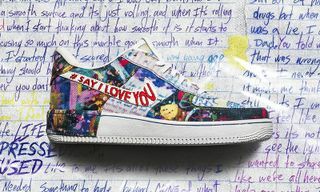 Thanks to UV printing technology, you also have the opportunity to print artwork on your sneakers. 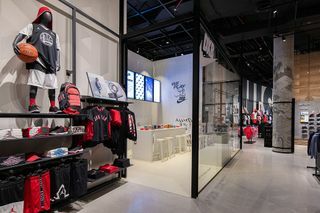 In addition to the focus on customization, Nike’s new Dubai store promotes community, providing locals with a place to come together and connect with other athletes. 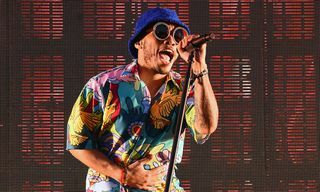 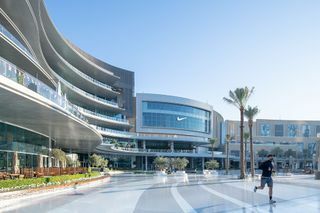 Nike Dubai offers those in the area an array of sport and cultural events, from Nike+ Training Club and Nike+ Training Club sessions, to athlete talks, artist sessions, and stylist workshops. 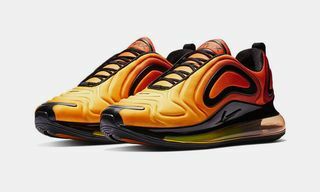 While in-store, Nike also encourages you to try out product before you purchase. 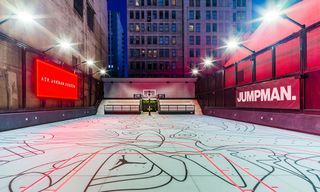 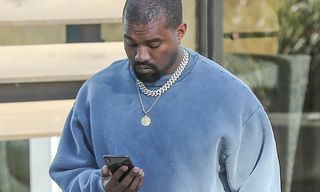 For this, the flagship houses a small basketball court designed to inspire Dubai youth to test out Nike gear and remain active going forward. 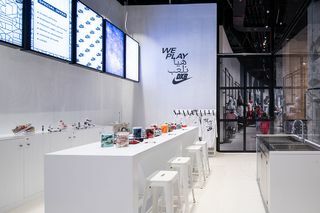 On top of catering to youth, Nike Dubai has an area specifically designed for women, also meant to encourage activity. 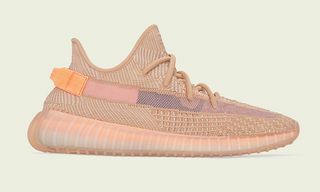 The women’s salon features an enticing display of ladies footwear, with both performance silhouettes and timeless classics. 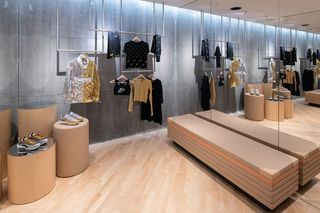 Here, women can also utilize comfortable fitting rooms and even hang out in an intimate lounge area. 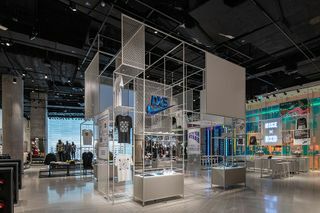 Lastly, Nike’s new Dubai location offers more to NikePlus members, including in-store events and experiences, in addition to easy shopping and a concierge service that delivers items to your home at no extra cost. 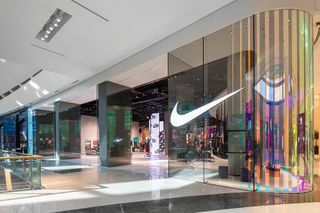 Nike’s new store in The Dubai Mall is open seven days a week from 10 a.m. to 10 p.m.
Up next, take an exclusive tour inside Nike’s insane 68,000-square-foot House of Innovation.